Dt. Lavleen Kaur is a renowned Dietitian/Nutritionist in Sector 21, Chandigarh. She has been a practicing Dietitian/Nutritionist for 9 years. She has completed M.Sc - Dietitics / Nutrition, B.Sc. - Dietitics / Nutrition, Post Graduate Diploma in Health and Family Welfare. You can visit her at Diet Insight Clinic in Sector 21, Chandigarh. She has received 489 excellent feedbacks. Book an appointment online with Dt. Lavleen Kaur on Lybrate.com. Lybrate.com has a number of highly qualified Dietitian/Nutritionists in India. You will find Dietitian/Nutritionists with more than 40 years of experience on Lybrate.com. You can find Dietitian/Nutritionists online in Chandigarh and from across India. View the profile of medical specialists and their reviews from other patients to make an informed decision. The symptoms were severe and unmanageable, as I was suffering from weight loss, but my Lavleen Kaur was able to handle it. Finally with her treatment, I am completely cured from the disease. Even in case of emergency, the staff is always willing to help. During the complete weight loss treatment program she always supported and motivated me. Lavleen Kaur has a very positive attitude towards all the patients. Whatever tests the Lavleen Kaur prescribed, were very correct and the gave they gave us an exact idea about my condition. I was shocked to experience the symptoms of diabetes. Almost all doctors suggested medicines for it, but I did not wanted to go for it for my diabetes. I saw Lavleen Kaur clinic's advertisement in newspaper and that is how we referred her. I must say the hygiene was maintained very nicely in the Diet Insight Clinic. I'am almost on the path to recovery, Thanks to Dt.Lavleen Kaur perfect diabetic diet counselling. I consulted a number of dieticians but the way she treated me was the best. Even though I was fit and fine, I needed to have a proper diet chart. The overall atmosphere in the Diet Insight Clinic is very soothing. She is very professional and is a really patient listener. Someone from the office, referred us Dr.Lavleen Kaur of chandigarh. Lavleen Kaur has expert knowledge in the field. Thanks to her. Never thought I will suffer from issues of weight loss like this. She is not just friendly, but also is very motivating. I thought that post treatment it won't happen again, but then after sometime, the symptoms re appeared. My boss referred me Dt. Lavleen Kaur. Hygiene is very important, and I must Diet Insight Clinic was extremely clean. 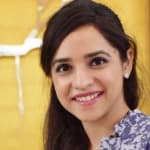 It was a bad case of allergy.i went to doctor dr Lavleen Kaur at her clinic Diet Insight Clinic in Chandigarh doesn't just randomly prescribes medicines, but first properly diagnoses the problem.The guidance she gave me has helped me immensely with my situation with the help of my diet. I thank Dr Lavleen for the diet and medication she provide me in order to treat my obesity. I am quite benefitted with her slimming treatment that i will surely recommend this doctor to anyone gladly. Her guidance helped me alot. And I am quite impressed with the way she treated me. i took an immunity therapy from her. I owe her a big thanks for making me fine again. The Diet Insight Clinic is designed in such a manner that all requirements of patients are taken care of. Overall immunity therapy was very effective. Dr.Lavleen Kaur is a great doctor. You are a gem Dt Lavleen! Honestly, with your diet plan it feels like I have started something that I should have started years earlier. Also my I have lost almost 5 kgs of fat. And my doctor has stopped by medicine for high blood pressure. Thanks a lot! God bless you. I owe him her a big thanks for making me fine again. The complete process of weight loss treatment was so painless and quick, and i am so relieved that I chose to consult her. It's been so long, I have lost all hope, but then I met Lavleen Kaur and I am fine. dr Lavleen Kaur did challange test for my allergy test as it is done through suspecting food. The test helped in detecting my problem very much. She did what others couldnt. The staff at her clinic Diet Insight Clinic in chandigarh is very nice. I was suffering from viral infection. I chose to consult a dietician as well as I was very weak. I am so much benefitted with her treatment, that i am perfectly fine now. Her diet chart helped me immesnly to overcome weakness. It was a good consultation. She explained the weight issue very well. 1. Enjoy everything but try NOT TO OVEREAT. Excess food even excess salad stores as energy which easily converts into fat. 2. Do not feel GUILTY about eating anything which you like. Guilt means cortisol hormones high thus your thyroid hormone and that fear leads to fat gain. 3. EXERCISE at least 5- 10 mins which burns only 50- 100 kcal but helps to boost your metabolism for rest of the day. Do not do double workout next day to burn calories it will injure your body. 4. Conscious WATER intake helps to maintain your Sodium potassium balance and hydrated body leads to no water retention. Drink Coconut water, Lemon water in between. Have mixture of zeera saunf ajwain and ginger water to avoid acidity. 5. Quality SLEEP post hangover is necessary to maintain your alkaline body. 6. NO NEED OF DETOXIFICATION next day if you followed healthy schedule rest of the days. Listen your biofeedback from body, if feel light have normal breakfast including egg or chilla but if feel bloated in any case than by 12 pm have veg juice + fruit and raw veggies to alkaline your body, rest of the day normal routein. 7. ALCOHOL guidelines- Drink if you enjoy it, mindfully, same concept as food enjoy it, no guilt. One large glass of water between each drink and if you can add lemon to that water, works better. For the weight watchers - wines, pink champagne, bloody mary's , tequila with lemon water, vodka with soda or fresh coconut water, whiskey neat are some of the best bets. Mom suffered from diabetes. She is facing loss of appetite ans saying that ki khane ka Mann nhi karta. Please suggest as we are really worried. Give her Lukewarm water of 2 small elachi + pinch of cinnamon to increase appetite. Start with small frequent meals. Do not force her to eat. Give her soft liquid diet with herbs and spices used in our kitchen. Soak 4-5 cashews in a bit of milk for 4-5 hours. Then pour the milk and cashew in a mortar (bowl) and pound it with a pestle ('kootna peesna'). Top this nutty milk mixture with more milk. Add sugar to taste and saffron if you want. Drink cold or hot just before going to bed. You will never have more fun sleeping alone. Have You Been Told to Reduce Your Salt Intake to Reduce Bp? Yes, you must have been but you probably have not been told how to reduce salt intake the right way. The fact is that when we eat too much salt (sodium), our bodies will hold on to more water. This increases the amount of blood flowing through our veins and arteries which increases blood pressure. So How to Reduce Salt Intake Properly? - Roughly 80% of the salt we eat is hiding in processed foods like bread, biscuits and breakfast cereals, and prepared ready meals or takeaways. Only 20% comes from the salt we add while cooking or at the table. - Salt used in daily cooking is a must. It contains sodium which is needed to retain our body's water, enable our cell walls to draw in nutrients and most importantly control our heartbeat . Sodium is needed to maintain BP. So continue using table salt for cooking. Keep the biscuits, maggi and farsans out. - Skip the salty snacks, baked goodies, and eat out less often. - Choose to eat more fresh foods more often. - Use the mineral rich 'kala namak' for one of the meals through the day. It is unprocessed and rich in iodine and also sodium, potassium, and iron. -Poppy seed water early morning or 1 tsp. poppy seeds. -Watermelon seeds with salad 1 tsp. Will doing crunches help lose belly fat? Even if you did 1,000 crunches every day, you'd unlikely trim the fat around your belly. That's because crunches tone the muscles that lie underneath your fat, but they do very little to help you lose weight - which is the key to shrinking your belly. Any exercise will burn calories but no exercise will burn fat unless your diet allows it. You can burn fat in your sleep or you can run all day and never burn any fat. It all depends on your diet. Crunches will have almost no effect on fat loss. And you cannot spot reduce. It is not possible to lose fat only from a specific part of your body of your choosing. Where your body stores and removes fat is determined by your genetics and there is nothing you can do to change that short of radical procedures such as liposuction. And, in general, where it stores fat first is where it will lose it last and visa verse. The world of health and fitness has an unfortunate abundance of myths and spot reduction is one of them. There is no exercise, no pill, no supplements, no spa treatment, and no natural way to spot reduce. Your only choice is to create a caloric deficit with a healthy and balanced diet (nutrient rich), burn fat, and wait for it to leave the desired body parts. Blood group diets: Fact or Fiction? I am hearing these a lot...AGAIN! I can't believe how by reading few attractive words here and there having no evidence or any backing scientific studies, people just blindly start to believe in it and make a trending topic out of it. "Arrey aapne to mera blood group poocha hi nahi! Aise kaise diet plan bana diya?" "You provide diet plans based on blood group na?" "Aap please mera diet plan blood group ke hisaab se banaiye, mujhe kisi ne kaha hai". So here's an attempt to wake you up and educate you that you shouldn't fall for the so called blood group diets! Your blood type plays very little (if any) role in what type of diet you should eat and this diet was probably formulated to sell books and make money more than it was to help people make sense of nutrition. Do yourself a big favor & steer clear of this nonsense. Popping pills before sleep can be avoided, if we use kitchen ingredients in our daily food intake. Kitchen is a great pharmacy where spices are friends of a ‪dietitian and pride of the cooks. 1. Add 100 ml of cow's milk to 50 ml of water. 2. Add 1/2 tsp of organic ‪‎turmeric powder (haldi), pinch of ‪cinnamon (dalchini), 1/4th tsp of ‪‎nutmug‬ powder (jaiphel) and pinch of ‪‎black pepper powder. 3. Simmer it till it boils. 4. Have this warm golden milk an hour before going to bed. Additional Tip: Use turmeric and black pepper in daily cooking to bust physical and mental stress. ‪Caution‬: Please avoid this milk if you are a pregnant women or if you are taking blood thinners or diabetes medicines. Would love to know who all tried the menu. P. S. This is just a sample meal plan and is not intended to achieve a certain health or a lifestyle goal. However all options in the menu are healthy and can be followed by anyone. Every night I am having a leg pain I am not able to bear it anymore can you suggest something and also I m getting some dehydration problem do suggest me something. Hello lybrate-user, I suggest that you get your vitamin d and sodium test done. Vitamin d deficiency can cause leg pain and sodium water imbalance can cause dehydration.